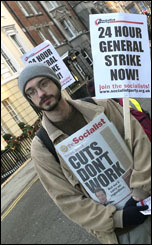 TUC lobby 11 December to name date for 24-hour general strike to defeat ConDem cuts. Chancellor Osborne has had to admit the humiliating truth - his policies to revive the British economy aren't working. 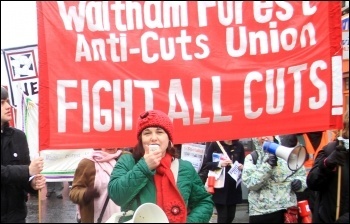 Mass action needed to save our health service: In England, NHS users face the relentless drive to privatise so that ruthless private bosses can make a fortune with no regard for the service they are supposed to provide, writes Claire Job, Nurse and Socialist Party member. 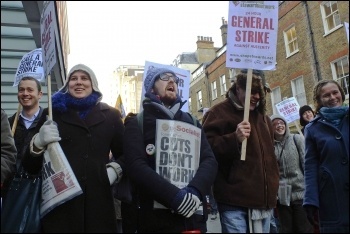 A 24-hour general strike to defend the NHS: Over 2,000 trade unionists and their families marched in Bristol on Saturday 1 December to protest against the recently formed NHS employer, South West Regional Pay Consortium, writes Dominico Hill. 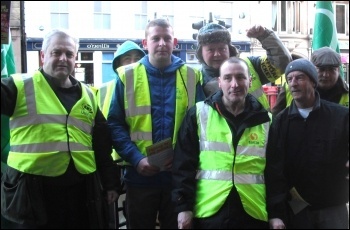 Train cleaners from Churchill and ISS, rail union RMT members, have taken further co-ordinated strike action against their unscrupulous bosses, writes Elaine Brunskill. 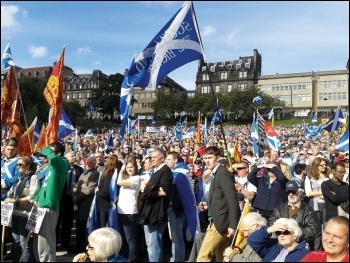 Scottish referendum: What sort of independence should socialists campaign for? 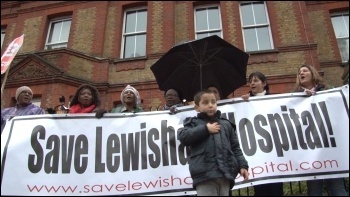 Health unions should take action to save our NHS: Proposals have been announced to close four accident and emergency (A&E) units in north west London: Charing Cross, Central Middlesex, Hammersmith and Ealing, writes Michael Wrack. The union's national executive has agreed plans for a determined campaign for fair pay and working conditions, including a ballot for industrial action by more than a quarter of a million civil and public servants, writes (PCS). Cultural commemoration on the first anniversary of the notorious massacre in Zhanaozen, Kazakhstan, of unarmed men, women and children by state forces, Sunday 16 December. Just as arrogant bankers flaunted their wealth while they helped crash the economy, so establishment politicians, press barons and some police have had their arrogance and contempt for 'the plebs' revealed. 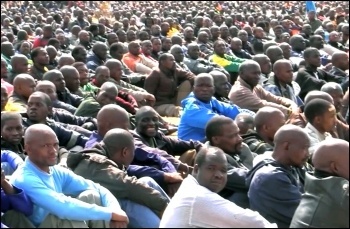 Editorial: Don't throw things at the telly - fight back! 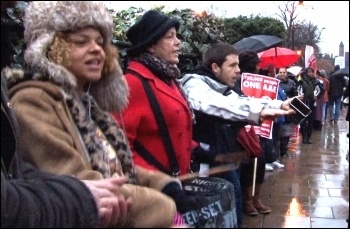 Working people face attacks on their wages, jobs, services or benefits. 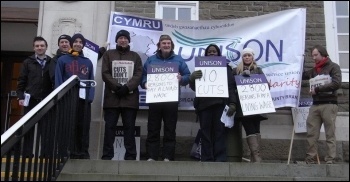 We need decent jobs not benefit cuts! 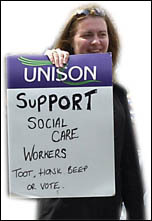 See article: www.socialistparty.org.uk/articles/15804/05-12-2012/nothing-to-lose-tesco-drivers-vote-for-indefinite-strike, writes Please send messages of support to Unite shop steward Trevor Cheetham: lynncheetham@yahoo.co.uk. 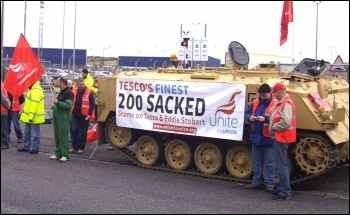 With confidence high after Saturday's march and picket, Doncaster Tesco drivers upped the anti on Monday in their dispute with Tesco/Stobarts, writes Alistair Tice. 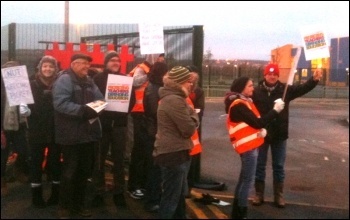 Over 30 members of the National Union of Teachers (NUT) took strike action on 6 December at Westfield Sports College, a secondary school in Sheffield, writes Alistair Tice. 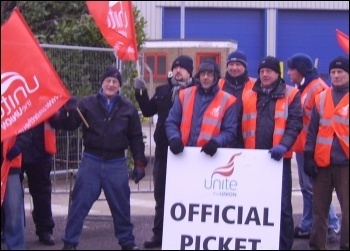 Dressed in Santa hats and with spirits high, around 40 postal workers and their supporters joined the picket line on 10 December at the Bristol South East delivery office, writes Tom Baldwin. In his Autumn Statement, Con-Dem chancellor George Osborne announced a new 'dash for gas' including fracking, the technology used to obtain gas and oil trapped in shale rock, writes Pete Mason. 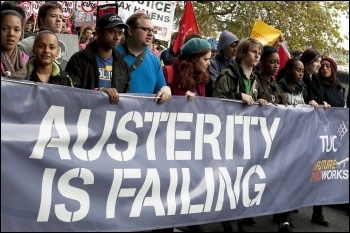 Manchester: Greater Manchester Trades Council called a demonstration against austerity and Osborne's autumn statement, writes Paul Gerrard. An ambulance worker fighting the proposed closure of his ambulance station told me recently: "I want to live, not just exist." As a single mother, struggling to even 'exist', I understand this sentiment, writes a public sector worker. 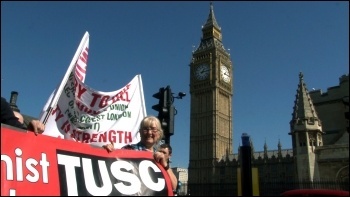 Rob Williams, NSSN national chair, replied to an article "The British have no fight in them any more" by Nick Cohen in the 9 December Observer..
How much attention have you paid to the 'Them & Us' column in the Socialist? 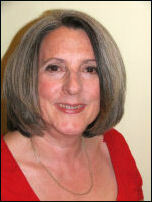 Try our 20 questions of 2012 to find out. 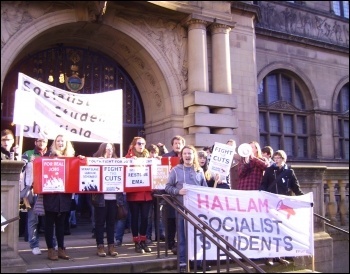 Student nurse says: Give us the resources to provide care! 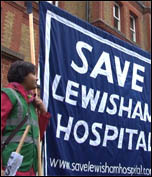 : A recent report flagged up rising death rates and a chronic bed crisis in the NHS. The next day, the national press vilified nurses as uncaring and lacking compassion. 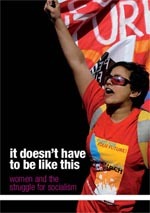 We have many books which would make good presents for your family and friends - both political and less political - and we have selected just a few here. United Socialists of America: A recent poll by Gallup in the US has shown that 39% of Americans now view socialism positively. When Tory Chancellor George Osborne presented his Autumn Budget Statement what he served up wasn't so much a speech as a load of lies spun together with well-rehearsed anti-working class hoopla. 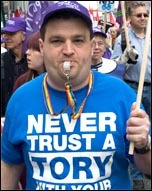 The Socialist unravels some of the Con-Dems' claims..